At Cypress Self Storage, Oakley's newest self storage facility (currently under construction), we care deeply about our community (Oakley, Brentwood, Antioch, Discovery Bay, Knightsen, and other nearby cities). And, we truly love the holiday season! Today, we want to share a few simple tips on how to play it safe during the holidays. We hope these tips help you and your family this holiday season! It's always a good practice to be safe and mindful throughout the year in your everyday life, but for some reason, the holiday season, which includes Thanksgiving, Christmas and the New Year's, is when we tend to see a spike in criminal activity. And if you're anything like me, and you read the feeds on Nextdoor (and shiver), you'll see how every other person has "a hooded kid nabbed my packages from off my porch in broad daylight" or "I've seen this person in the parking lot, looking through car windows." It can definitely be alarming, but the good news is that there are many things you can do to lower your risk of being another target of a criminal. Below are 5 ways to play it safe during the holidays, and really, throughout the entire year! The holiday season is one of the easiest times of the year to be taken advantage of, because we are so distracted with gift-buying, food-shopping and family and company parties to attend, that we are literally distracted. When we are distracted, we are not only forgetful, but we are also unaware of what's going on around us. In the evenings, search for parking near well-lit areas. Some parking lots have broken light poles. The more light, the less likely someone will break into your car. Walk with confidence and your head held high – tap into your inner alter ego and pretend you're even a little snooty too, because that, oddly enough, shows confidence as well! When you walk with confidence in parking lots, you show those around you that you will not be taken advantage of and you will not be an easy target. A friend taught me this trick years ago, and it's the best! 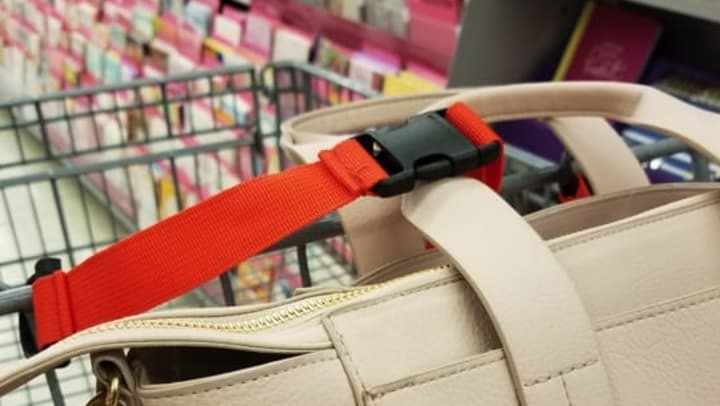 Lock your purse up in any shopping cart by lacing the child seatbelt straps through the loops of your purse. But also, zip up your purse as well, so that even though someone can't successfully grab your purse, they also can't reach in and snag your cellphone or wallet while you're bending down to find the best avocado! And men, as inconvenient as it seems, and probably not so comfortable, put your cellphones and wallets in your front pocket, not the back pocket of your jeans. Keeping your valuables back there is just a neon sign for "here, take it, and Happy Holidays to you!" 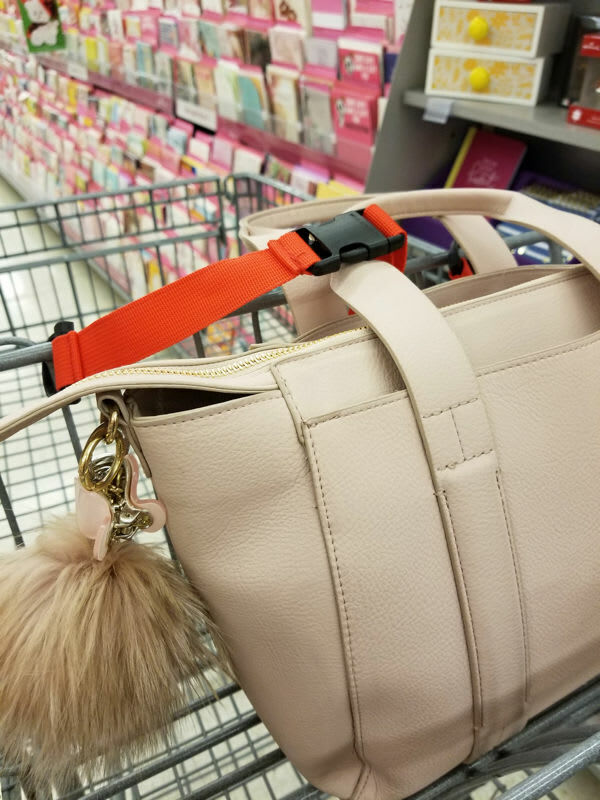 Back to purses ladies – when walking to your car or on the street, if you have a long single strap-type purse, cross the strap across your chest like a seatbelt (here we are, back to seatbelts again), with your purse in front of you, one hand on it. If you have two short, forearm-type straps, keep your purse straps at your elbows and your purse close to your body. Fun fact about purses … did you know that the oldest known purse dates back some 5,000 years, called a pouch, which held coins, and were used by men! So I use this free service called "Informed Delivery" by yours truly, your United States Postal Service (USPS)! It's amazing, because, after registering for the free service, you will receive a daily email and text message (if you sign up for both) before 8 a.m. from the USPS, informing you of what letters and packages are expected to hit your outdoor mailbox. Not only that, they actually take a picture of the letter. And if you're like me, my mail arrives around 4:30 p.m. each day, if that letter you were supposed to receive is not in your mailbox, then something went awry and you can either call the Post Office and see what happened or check with your neighbor to see if they received your Christmas card (filled with lottery tickets from Uncle John in Tuscan, Arizona!). Another great tracker is FedEx, where you can track your online purchases to find out what day to expect your delivery. 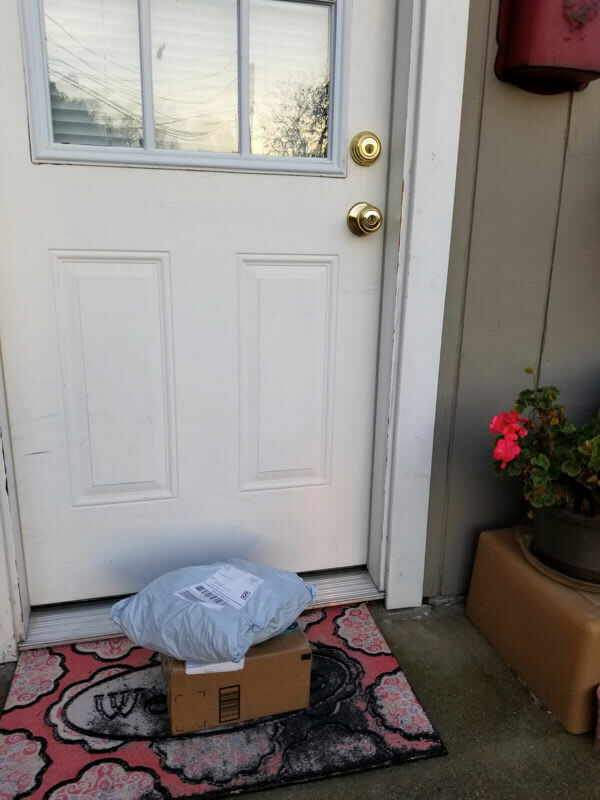 If you won't be home that day, arrange with a neighbor to keep watch for your packages that don't fit into your mailbox, so your "ring" security camera doesn't film yet another skinny, hooded thief picking up your package for you – and keeping it! There are also Amazon Lockers where you can have your packages sent to locally, instead of the packages delivered to your house. OR … have them delivered directly to your place of business IF your employer is okay with that and that you're not having deliveries made every single day! IF you are buying items for your boss, then that's another story entirely, and probably fodder for another blog! To find out where Amazon's lockers are located, simply Google "Find an Amazon Locker in Your Area." Who doesn't like pepper? Oh, I know – criminals. And before you ask, no, I don't own stock in Amazon, but speaking of Jeff Bezos' multi-billion-dollar online store, with physical stores now popping up, Amazon carries many types of hand-held mace sprays, and at affordable prices too. A friend of mine bought me a pack of three, pink no less, pepper sprays, which I think is genius, because of its bright color, if someone sees you even holding a pepper spray – they might think twice about harming you. The black-colored containers blend more with your hands, especially at night, but the bright colored ones shows attackers that you are armed and ready to defend yourself. Each spray comes with clear, how-to-use instructions, but you can also YouTube general instructions on how to use these sprays effectively. Try practicing on weeds outside (not on friends) before carrying it, just to get comfortable with it and familiarize yourself with it first. When confronted with a dangerous situation, counselors say that you will react in a manner that you've "planned" to react. The keyword is planned. What you plan, is what you'll actually do in a crisis situation. If you can, and I realize it's not always possible, travel with friends and family members. You've heard the saying that there’s strength in numbers? Just like a pack of horses, you are less of a target when you do errands, shopping or even attend parties and events when you are in a group of two or more. If you cannot take a friend with you, then let your best friend or closest family members know exactly where you are going, the address, time and location and text them when you get home. The goal to staying safe during the holidays and really, ANY time of the year, is to minimize being a target. No matter what, criminals are part of our world, but by making it more difficult for them to do their thing, we lower the risk factors significantly. So be aware of your surroundings, strap your purses in, travel with friends and make this holiday season a safe and beautiful one!